Empire Faces was the beauty & makeup team for the 2011 swimsuit issue for Health & Fitness Magazine.Fashions courtesy of Saks Fifith Avenue: Bikini by Nanette Lepore; necklace by Oscar de la Renta; Sunglasses by Roberto Cavalli. Cover Model: Megan Hendrix; Cover: Styling Donna Retif; Airbrush makeup & lashes by Lara Toman artist of Empire Faces. Empire Faces was the beauty & makeup team for the 2011 swimsuit issue for Health & Fitness Magazine.Fashions courtesy of Saks Fifith Avenue: Bikini by Milly; jewelry by Herve'. Design work: Adrian Douglas HFSM; Model: Taylor Lanning (Miss Houston); Styling: Hair by Donna Retif; Airbrush makeup & lashes by Lara Toman artist of Empire Faces. Amanda Duncan, 2009 Miss Darque Tan & Misty Marlow former Miss Rockwear Houston. Photos by Doug Carter. May 2010 Swimsuit Issue, Health & Fitness magazine. Airbrush Makeup by Lara Toman of Empire Faces. May 2010 Swimsuit Issue, Health & Fitness magazine. Airbrush Makeup by Lara Toman of Empire Faces. Photos by Doug Carter. May 2010 Swimsuit Issue, Health & Fitness magazine. Airbrush Makeup by Lara Toman of Empire Faces. May 2010 Swimsuit Issue, Health & Fitness magazine. Photos by Doug Carter. Airbrush Makeup by Lara Toman of Empire Faces. 2010 June, Men's Issue Health & Fitness Magazine. Courtesy of Hotel Sorella; Makeup by Lara Toman of Empire Faces. 2010 June, Men's Issue Health & Fitness Magazine. Courtesy of Hotel Sorella; Airbrush Makeup by Lara Toman of Empire Faces. KPRC Channel 2 Houston, Rachel McNeil News Anchor. 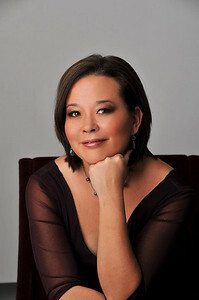 Airbrush & Makeup by Lara Toman & styling by Heather Hurley of Empire Faces. 2010 June, Men's Issue Health & Fitness Magazine. Airbrush Makeup by Lara Toman of Empire Faces. Empire Faces was the beauty & makeup team for the 2011 swimsuit issue for Health & Fitness Magazine.Fashions courtesy of Saks Fifith Avenue: Bikini by Shoshanna; earrings by Herve; bracelet by Vaubel. Model: Lidia Bruckbauer; Styling: Hair by Donna Retif; Airbrush makeup & lashes by Lara Toman artist of Empire Faces. Empire Faces was the beauty & makeup team for the 2011 swimsuit issue for Health & Fitness Magazine. Fashions courtesy of Saks Fifith Avenue: Bikini by Odabash; earrings by Herve; necklace by Kenneth Jay Lane; Bag by Tori Burch. Model: Peyton Saverance. Styling: Hair by Donna Retif; Airbrush makeup & lashes by Lara Toman artist of Empire Faces. 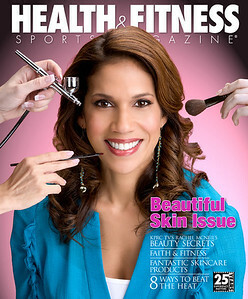 Empire Faces was the beauty & makeup team for the 2011 swimsuit issue for Health & Fitness Magazine. Fashions courtesy of Saks Fifith Avenue: Swimsuit by Ralph Lauren; jewelry by Ippolita; Hay by Grace Hats; Sunglasses by Dior. Design work Adrian Douglas HFSM; Model: Kallye Mitchell. Styling: Hair by Donna Retif; Airbrush makeup & lashes by Lara Toman & Bethany Austin, artists of Empire Faces. Empire Faces is the official beauty & makeup team for the 2010 & 2011 Miss Darque Tan Billboard campaigns, including the promotional signage and lightboxes in salons nationwide. 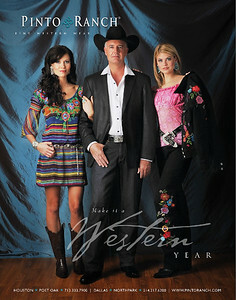 Model & Miss Darque Tan Winner, Kenda Carroll; Styling by Vickie Cross & Makeup by Lara Toman of Empire Faces, 2011. Empire Faces is the official beauty & makeup team for the 2009, 2010 & 2011 Miss Darque Tan Billboard campaigns, including the promotional signage and lightboxes in salons nationwide. Empire Faces Models & Miss Darque Tan Winners, Kenda Carroll & Jackie Young. Empire Faces is the official beauty & makeup team for the 2010 & 2011 Miss Darque Tan Billboard campaigns, including the promotional signage and lightboxes in salons nationwide. Empire Faces Model & Miss Darque Tan Winner, Jackie Young.